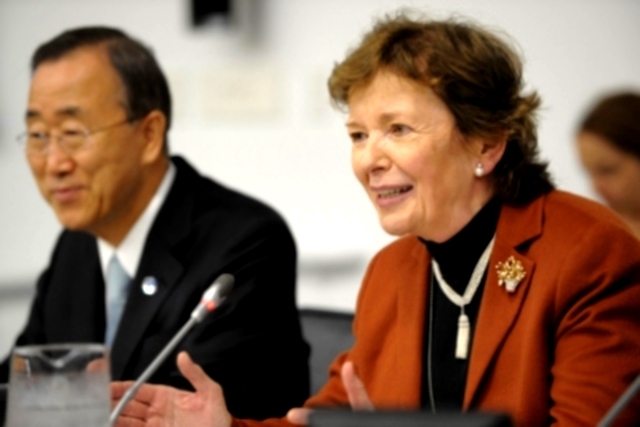 In March of this year Mary Robinson extended her mandate as United Nations Special Envoy for the Great Lakes region of Africa at the request of United Nations Secretary-General Ban Ki-moon. The Secretary-General has now asked her to relinquish this mandate to accept another – the post of the United Nations Secretary-General’s Special Envoy on Climate Change. The role of Special Envoy and Mary Robinson’s work within the Mary Robinson Foundation – Climate Justice, as its President, will be kept separate but the synergies are very clear and should be of mutual benefit.